Roughsedge’s gate, Saraikela. view on the palace. History often is the history of the state, not of the tribals. Upender Singh’s is not a new perspective, though worth emphasising again. Concentrating on the role of the states can lead to serious distortions. Before Singh, the historian D.D. Kosambi (1907-1966) stated that “The entire course of Indian history shows tribal elements being fused into a general society’. That still is a popular view, but it certainly is a wrong generalisation. Tribals could be very successful in keeping the state out. Part of Kosambi’s (and all of us historians’) problem is that we work with historical sources. Most if not all of these were written by state agents and, naturally, they stressed the perspective of their masters. In the Singhbhum chronicle, if there was violence in the relation between the raja of Singhbhum and the Hos, it was considered as the fault of the Hos who were called “rebellious”. However, they were “rebellious” very often. This suggested that the Hos had another view of the rajas’ claims over their areas. They considered themselves independent. 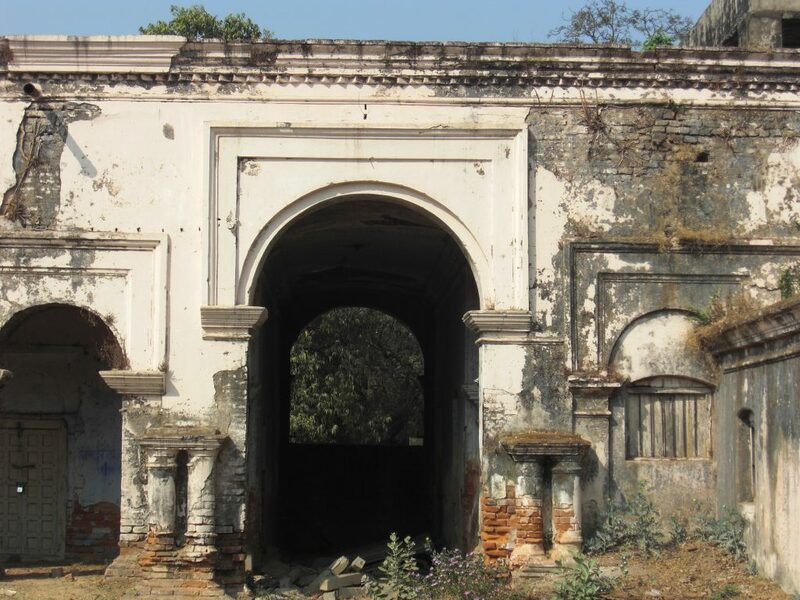 In 1818, Major Edward Roughsedge actually spoke with Hos and quickly learned that they were not interested in the raja of neighbouring Singhbhum. They merely looked upon raja Ghanshyam Singh – and his relation in Seraikela – “with great contempt”. A contemporary description of the raja’s capital Porahat confirms their view. 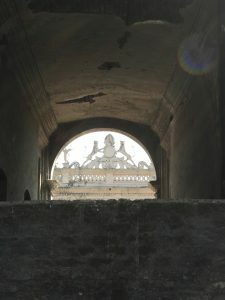 The palace was “dilapidated” and its household filled with “listlessness and apathy”. Roughsedge’s gate, Saraikela. view from inside out. Here an anaemic state was marginal to the society of the Hos. Major Roughsedge soon could see that for himself. When he first entered the Hodisum with his army, for one time he dropped his official mask. He clearly was stunned to see “a well cultivated champaign country studded with large villages …. smiling hamlets”. From the chronicle of the Singhbhum rajas one would never guess this vibrant Ho society.